WhatsApp’s partnership with 3 Hong Kong for the provision of a WhatsApp-branded mobile data plan and roaming package is potentially another rung up the ladder that Facebook and Twitter have already climbed, but the company will face a number of challenges as it seeks to consolidate its market-leading position in OTT messaging, not least of which are operator concerns about the impact that their subscribers’ WhatsApp usage has had on their messaging revenues. The tie-up with 3 Hong Kong is not WhatsApp’s first venture with a mobile operator. However, it is the first time that a mobile operator is offering a WhatsApp-branded mobile data roaming package, the WhatsApp Roaming Pass, in addition to the WhatsApp Data Pack monthly add-on plan. WhatsApp’s inclusion in a mobile operator’s data roaming package is significant from the perspective that WhatsApp users value being able to use the service in order to communicate more cheaply with friends, family and colleagues in other countries. Data traffic associated with WhatsApp use is typically deducted from the mobile subscriber’s monthly or pre-paid mobile data plan; those subscribers who have purchased unlimited monthly or pre-paid data plans would therefore view the costs of using WhatsApp as negligible. However, using mobile data while roaming can be expensive; Informa Telecoms & Media’s research shows that mobile data roaming in the Asia Pacific costs on average $15.44 per MB. Such high mobile data roaming rates would actively discourage most subscribers from using their mobile device for data while travelling, or would encourage them to connect via wifi. By contrast, 3 Hong Kong will charge HK$48 ($6.19) per day for the WhatsApp Roaming Pass, which includes 5MB of data. In offering a comparatively low daily rate for WhatsApp, 3 Hong Kong is effectively providing those of its subscribers who are WhatsApp users with an incentive to continue using the service while they are travelling. It will be interesting to see which other markets WhatsApp will seek to penetrate using this model. For instance, the WhatsApp Roaming Pass is being enabled by 3 Hong Kong’s membership, via its parent Hutchison Telecom, of the Conexus Mobile Alliance. The Conexus Mobile Alliance is an Asia-focussed mobile roaming alliance, providing connections to 93 mobile operators in 78 countries. It is possible that WhatsApp could leverage its relationship with 3 Hong Kong to access other mobile operators that are part of Conexus. 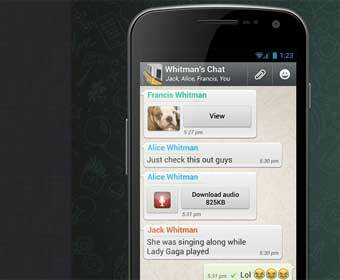 However, other markets may be more difficult for WhatsApp to crack. For instance, in Europe, the European Union has regulated caps on mobile data roaming prices, such that mobile operators in countries that are members of the EU can charge their subscribers a maximum of €0.70 ($0.90) per MB while roaming. Furthermore, mobile operators such as Vodafone are able to offer extremely low prices per MB for mobile data roaming by virtue of being a mobile operator group. For example, post-paid mobile subscribers using the Vodafone EuroTraveller service in Europe would pay £3 ($4.81) per MB while roaming abroad in Vodafone EuroTraveller markets. The announcement of WhatsApp’s partnership with 3 Hong Kong comes just three weeks after WhatsApp revealed that its daily messaging traffic had hit a record 10 billion messages, and in the same week as Mobily Saudi Arabia and Virgin Mobile Chile also announced WhatsApp-branded tariffs. WhatsApp does not reveal user numbers but, based on publicly-available data from other sources. Informa estimates that the WhatsApp active user base is at least 200-300 million globally. The acceleration in WhatsApp’s partnership activities with mobile operators is an indication that some operators are starting to accept that WhatsApp has become an important service to their mobile subscribers, and that it is therefore a service that the operators themselves need to embrace. For WhatsApp, this is a similar path to that already trodden by Facebook and Twitter, which are regarded by operators as adjacent services that are indirectly revenue-generating through their subscribers’ use of mobile data. The key challenge that WhatsApp faces, however, is that there are also a number of mobile operators who are experiencing declining traffic and revenues from their traditional communications services, including SMS; these operators are laying part of the blame squarely at the door of WhatsApp, KakaoTalk and others. While WhatsApp may want to become the next Facebook or Twitter on mobile, it is possible that the role that it has played in the declining revenues of mobile operators may present a barrier to its succeeding in this endeavour; Skype has faced similar challenges in its dealings with mobile operators. In addition to the WhatsApp Roaming Pass plan, 3 Hong Kong is also offering its subscribers a WhatsApp-branded mobile data plan, the WhatsApp Data Pack, for HK$8 a month ($1.03), which subscribers would need to purchase as an add-on to their existing monthly plan. In partnering with WhatsApp, 3 Hong Kong will generate revenues through offering the WhatsApp-branded roaming tariff and monthly mobile data plan. The operator will also benefit from the extremely high brand awareness of the OTT within the Asia Pacific region. While 3 Hong Kong declined to comment on whether it would share with WhatsApp any revenues resulting from the sales of the WhatsApp-branded price plans, it is likely that WhatsApp would benefit materially in some way from the relationship with 3 Hong Kong. WhatsApp’s existing partnerships with mobile operators such as Telefonica Colombia, Mobily Saudi Arabia and Virgin Mobile Chile are based on the cellcos offering their subscribers mobile data plans which include unlimited and zero-rated access to WhatsApp, with a view to boosting their own brand awareness. It’s not clear whether WhatsApp has directly benefited financially from its relationships with mobile operators to date, or whether it is satisfied purely by being able to extend its reach into new markets.